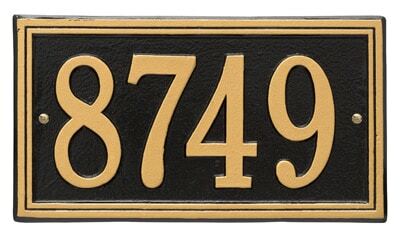 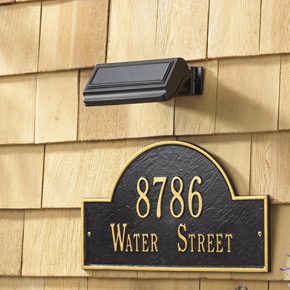 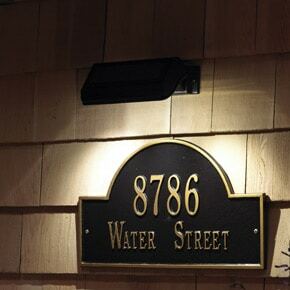 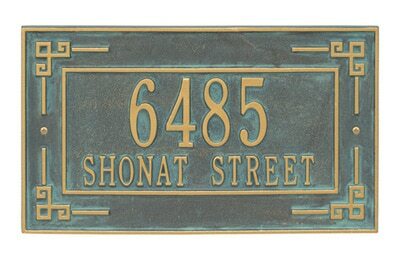 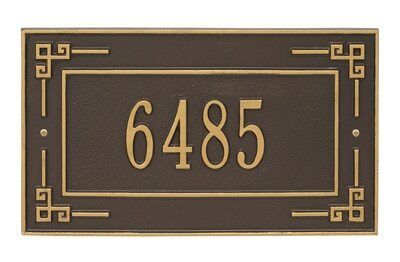 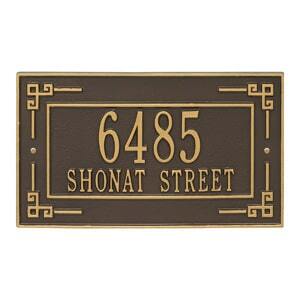 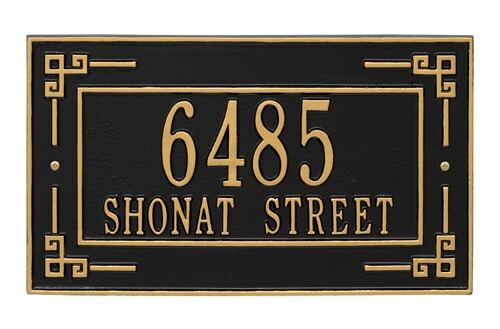 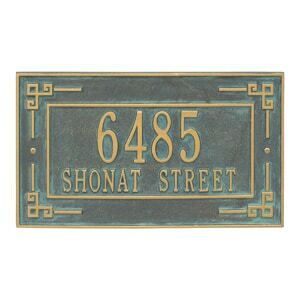 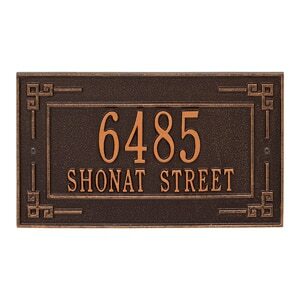 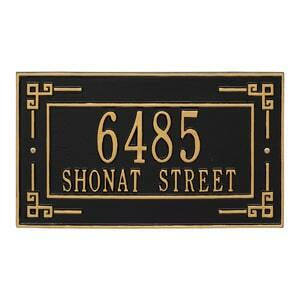 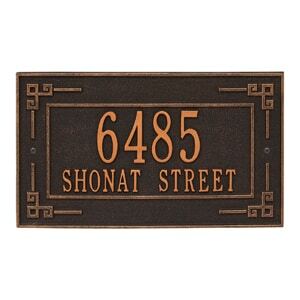 Shown in Black with Gold Letters, the Key Corner address plaque comes in 5 finish combinations. 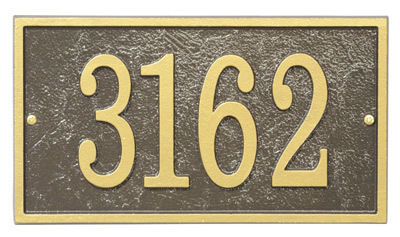 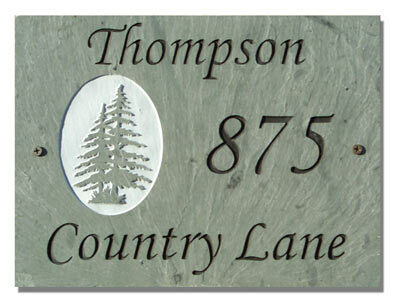 The Key Corner One Line Address Plaque holds up to five 3″ numbers. 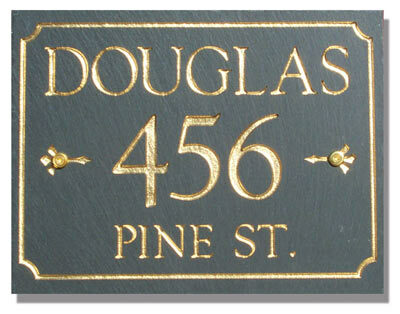 The Key Corner Two Line Address Plaque holds up to five 3″ numbers on the 1st line and up to seventeen 1.25″ characters on the 2nd line.